Have you ever had the misfortune of dealing with those tiny white ulcers on the inner lining of your mouth that make simple actions like talking, eating, and swallowing seem like fighting a war? In medical terminology, such ulcers are known as canker sores. Canker sores are lesions that develop anywhere in the mouth – the surface of the tongue, the insides of the cheeks, the roof of the mouth or even the insides of the lips. These sores are usually quite painful and can sometimes even bleed. Chronic stress can sometimes cause multiple canker sores at once. A tooth that has a sharp surface cutting into the insides of the mouth could cause a canker sore. Eating too much spicy food or food that is deep fried can lead to canker sores. Vitamin B12 and Iron deficiencies could also cause canker sores. Bacterial overgrowth can also cause canker sores in the mouth. Curcumin is a very well-known anti-inflammatory agent that suppresses the activity of inflammation-causing chemicals in the body. In the case of canker sores, the topical application of a paste made of pure curcumin powder and honey can help immensely. The honey ensures that moisture is retained and the curcumin brings down the pain and accelerates the growth of new tissue, thus healing the sores faster. Curcumin can be mixed in distilled water and used as a mouth wash to bring down the swelling and inflammation in case there are several canker sores in the mouth, in which case topical application of curcumin becomes very difficult. Curcumin promotes the secretion of neurotransmitters like dopamine and serotonin that are both mood elevators. This can help bring down stress levels thus targeting one of the root causes of canker sores. Curcumin is known to have broad-spectrum anti-bacterial properties that are even effective in vanquishing antibiotic-resistant bacteria. By using a curcumin-based mouth wash, one can flush out the bacteria that are causing canker sores. Such a mouth wash should be used multiple times in a day to ensure that the bacteria are not just being removed but an environment that is uninhabitable by bacteria is created in the mouth to prevent bacterial re-infestation. Curcumin has antiseptic properties that can treat the infection that makes canker sores so difficult to tolerate. By using curcumin as a topical ointment or as a mouthwash, you can accelerate the process of healing. When you are looking for a curcumin supplement that you can use to treat those nasty mouth ulcers, you need to be very sure that it contains pure and authentic curcumin. Many a times we get duped into believing that the supplement that we are buying contains curcumin that is unadulterated but in reality most of the supplements available in the market are made using impure curcumin or worse still chemical duplicates that are not even curcumin, just yellow colored chemicals that are synthetically made to smell and taste like curcumin. Using such a supplement can be very harmful to your health. Oromin is a curcumin enriched supplement that is created using curcumin that is grown locally at farmland known as Bagdara Farms. Bagdara Farms stretch across the fertile Bandhavgarh forests in Madhya Pradesh and enjoy the benefit of having extremely fertile soil that is perfect for cultivating curcumin. The curcumin grown at Bagdara is absolutely natural and organic. It has no chemical residues thanks to the fact that no chemical fertilizers or pesticides are used on it. 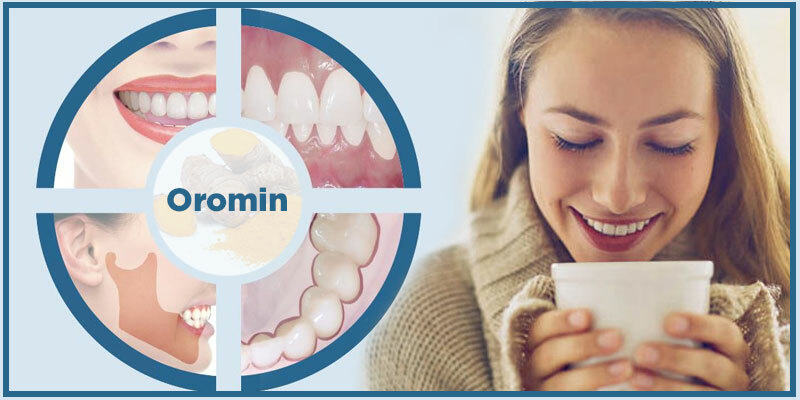 Oromin can be used to treat canker sores effectively and without any fear of side effects. 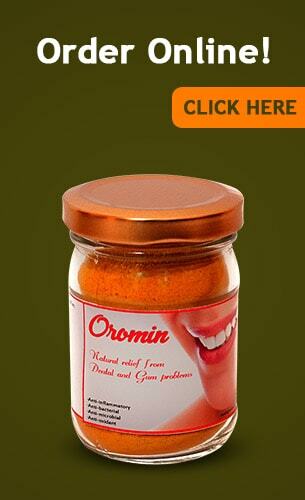 If you have been plagued by canker sores and are looking for a natural remedy to beat them then Oromin is your answer. Get a jar today and never worry about canker sores again!